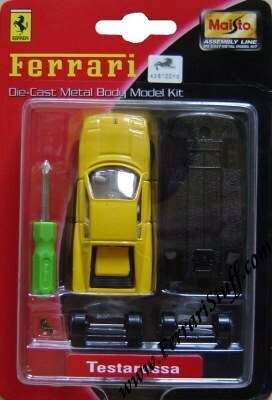 Yellow Ferrari Testarossa 1/64th Scale Diecast Model Assembly Kit by Maisto. This is a 1/64th assembly kit for 8 years and older. Does NOT require glue or paint. Scale 1/64, measures some 3 inches or 7 cm in length.